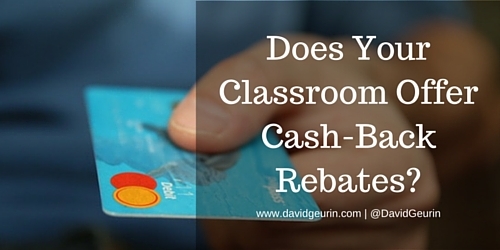 The @DavidGeurin Blog: Does Your Classroom Offer Cash-Back Rebates? Earlier this summer I did something I vowed never to do again. I fell for a deal with a cash-back rebate. You know, the kind where you follow a complicated set of instructions and then mail-in all the required papers and hope it pays off. If you're lucky, you'll get your rebate check back in the mail in a few weeks. I'm not sure why I fell for this again. I guess I thought the deal was just too good to pass up. After the rebate, the synthetic motor oil was going to be a great buy. And I didn't even need it right away. I had just changed the oil in the vehicle I planned to use it in. But in spite of my best intentions, I failed to ever claim my rebate. I kept the receipt. I had the bar-code and the rebate form. I was good to go. But then I got distracted. I forgot about the rebate for awhile. And when I thought to finish the process, I couldn't find the receipt anymore. Game over. Now I am just a resentful consumer. I'm irritated with myself for breaking my promise to never try for these offers. And, I'm irritated with the brand for manipulating me with a rebate offer they know many customers won't complete. They count on it. They are manipulating customers to buy knowing many consumers won't ever complete the rebate process successfully. But it's so frustrating, and it's not customer-focused. If they really wanted to give me a great deal, they'd just give me the $10 off, without all the hoops. They don't actually want me to be successful. They want me to fail. You've probably been frustrated by a rebate offer too. I think most people have. But not getting my $10 bucks is not the end of the world. But when similar tactics are used in the classroom, it undermines the foundation of learning. In schools, the currency is not dollars and cents, it's points. And for a student, the more points you earn the better grade you get in the class. Students start learning this at a very young age, as soon as grades matter to them and their parents. The points themselves are not the problem. The problem is how the points are used. Students learn to see the points as part of a transactional system, the game of school. The goal is to earn points. We have used the system to the extent that many students have forgotten how to learn just for the sake of learning. 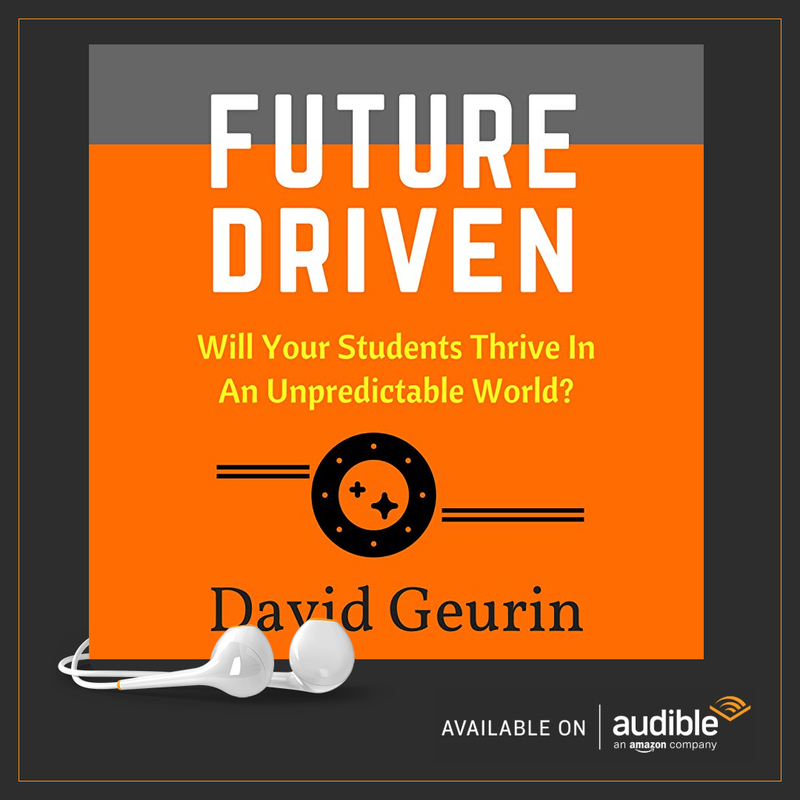 The first question students ask in many classrooms after an assignment is given is, "How many points is this worth?" Clearly, classrooms and schools aren't offering cash-back rebates, although I'm guessing students might say it was great if we did! But when we further a grading system that is transactional, in essence, we are using sticks and carrots to manipulate behaviors and results. It's very similar to what companies do when they use rebates. Just like the rebate is used to manipulate, points can be used to manipulate, too. Teachers have used the power of points for all sorts of reasons. To get students to participate, to show up on time, to choose right answers, and even to bring boxes of Kleenex. Students are even sorted and ranked according to how well they play the game and earn points. I'm not a fan of sorting or ranking when it comes to learning. But this is especially concerning since earning points is often more about compliance and selecting right answers than showing good thinking or solving problems creatively. In the current system, teachers even communicate the importance of an assignment by how many points it's worth. "The test tomorrow is worth 100 points so you better study tonight." It's well-intentioned manipulation. And when used on rare occasions it might be helpful. Teachers are always trying to influence student behaviors and decisions. And for good reason. We will do just about anything to motivate students to learn. But as soon as sticks and carrots become routine in the classroom, students come to expect them all the time. The problem with transactional systems is they only change behavior for a moment. They never last. In fact, they work against most some of the most valuable things we want students to gain from school. They rob empowerment. They steal intrinsic motivation. And they even undermine relationships. Some students get so frustrated with the points game, they just quit caring. They refuse to play along and choose not to care about how the teacher or the school 'grades' them. And it's not just the kids who are 'at-risk' or 'underprivileged' who tend to reject this system. Often some of the most intelligent and creative students see through this artificial construct and pull back from learning in school. Some of these same students have passions outside of school they pursue as self-motivated learners. They pour themselves into hobbies, interests, and causes. They will read online for hours, they will create art or practice an instrument, or they will share ideas on message boards or through social media on all types of important topics. 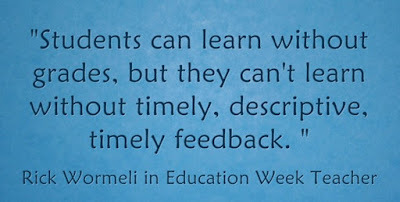 We do our students a disservice when we don't empower them as learners at school too. If students leave school less excited about learning than when they entered, we have failed them. We don't have to use transactional systems in classrooms and schools. Some companies choose not to use rebates. They let their product or service stand on its own merits. 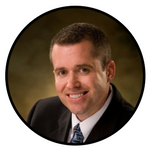 They communicate the value of their products with a compelling message of why they are helpful and beneficial to us. And because we believe in their product, we are willing to pay full price. Likewise, classrooms and schools offer something extremely valuable to their end-users. What could be more valuable or more helpful than learning, for the sake of learning? But we have to remind our students of the wonder and awe of learning. We have to package it in ways that are interesting and attractive. This is especially true when they have come to view learning as part of a system of compliance to ultimately earn a grade. Cash back rebates don't build loyalty with consumers, whether they ultimately receive the rebate or not. And a school culture driven by points and grades won't build loyalty with students either. It won't transform students into self-motivated learners. 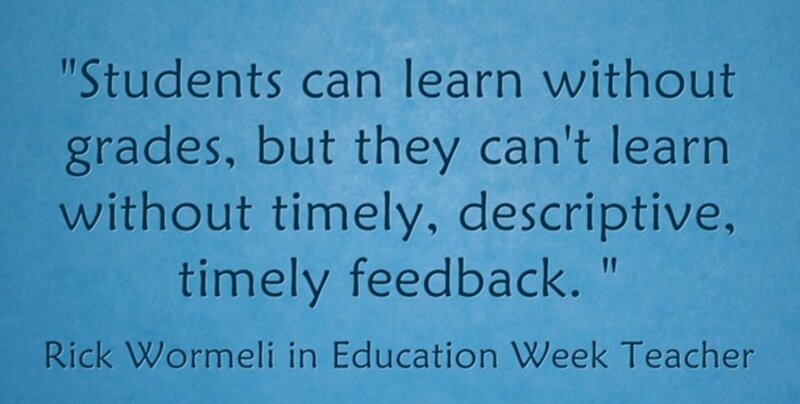 Only empowerment and authentic learning experiences will do that. 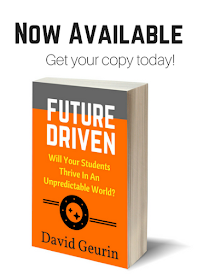 Question: How do you empower your students and avoid the compliance-driven classroom? I want to hear from you. Leave a comment below or respond on Facebook or Twitter.